Party season is upon us, so it’s time for me to bust out my recipes and notes from last season to remember what worked, what didn’t, and most importantly, what’s easiest and tastiest to make for a crowd. I like to sit down and draw up a whole bunch of recipes that I can serve with delicious dips. After all, aren’t dippers the first thing to go from the appetizer table whenever you’re throwing a party? They are in my house. These are the best kind of recipes to have around because I can make them to serve a crowd, and I can always switch out the flavors of dip to make the recipe seem fresh and new. Here are three of my favorite simple and irresistible party dip recipes that are a hit at my parties. Step 1: Preheat the oven to 350 degrees F. Line 2 large rimmed baking sheets with parchment paper and set aside. Step 2: Beat the eggs in a shallow bowl and set aside. Step 3: Mix the panko, salt, and pepper, and set aside. Step 4: Bread the eggplant and zucchini rounds by dipping each round in the egg mixture. Then dip it in the panko so that it is coated well on each side. Place the breaded rounds on the lined baking sheet without allowing them to overlap. Step 5: Bake the vegetable rounds for 20 to 30 minutes, flipping once at the halfway point. The breadcrumbs should be golden and toasty when cooked through. Step 6: Remove from the oven and allow to cool completely. 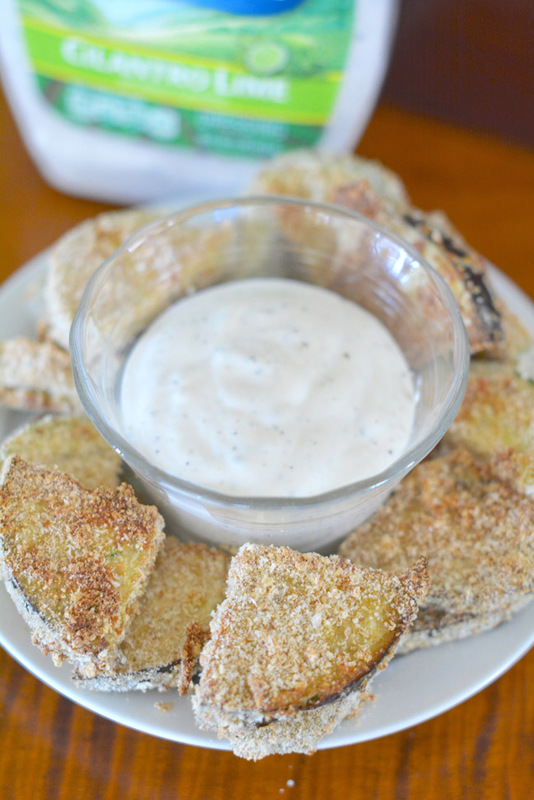 Serve on a plate with a bowl of Hidden Valley Cilantro Lime Original Ranch Dressing as a dip in the middle. Step 1: Preheat the oven to 350 degrees F. Line a baking sheet with aluminum foil and set aside. Step 2: Roll out the pizza dough and cut it into strips 2 inches wide by 6 inches long. Place them on the lined baking sheet. Step 3: Sprinkle the seasoning and mozzarella over the rectangles, then carefully twist them a few times. Brush the tops with melted butter. Bake the sticks for 18 to 20 minutes, or until golden brown and cheesy. 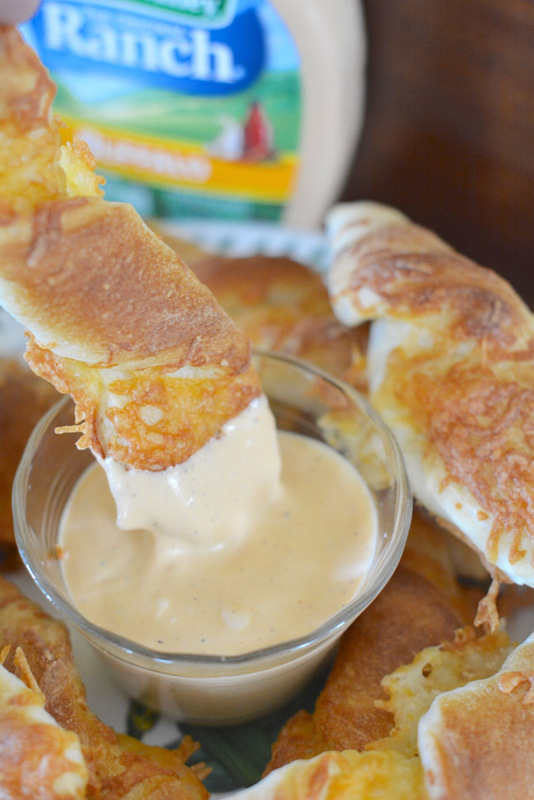 Serve with a bowl of Hidden Valley Buffalo Original Ranch as a dipping sauce. Step 2: Brush the tortillas lightly with olive oil and sprinkle them with taco spice and a pinch of sea salt. Cut tortillas into 6 even sized wedges. Step 3: Arrange the wedges on a baking sheet in one even layer so they are not overlapping. Bake for about 6 to 8 minutes, or until lightly browned. Working quickly, remove the pan from the oven and flip the tortillas. Sprinkle them with more sea salt, and return the pan to the oven for an additional 6 to 8 minutes. Remove from the oven and allow to cool. 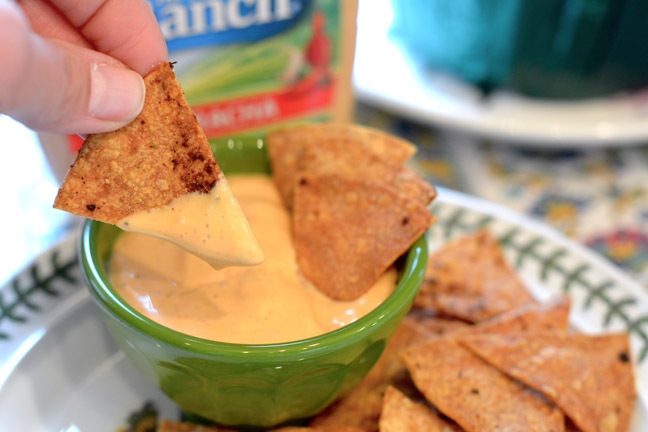 Step 4: Pour the Hidden Valley Sriracha Ranch Dressing into a bowl and arrange the chips around the dip. Serve!